A monument commemorates explorer Thomas Mitchell. The Major Mitchell memorial was unveiled at Expedition Pass on Wednesday in the presence of a large gathering of residents and the school children of Chewton, Sutton Grange, Elphinstone and Faraday. The Director of Education (Mr. Frank Tate), Mr. Donald McDonald, and Mr. E. R.Davey, M. A, and Mr E. Long. M.A, inspectors of schools, were also present. 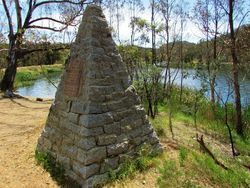 The monument is a Harcourt granite obelisk, 6ft. square at the base and about 11ft. high, carrying a polished red granite tablet with the following inscription: "On 20th September, 1836. Major Mitchell, after passing through this ravine, named it Expedition Pass. 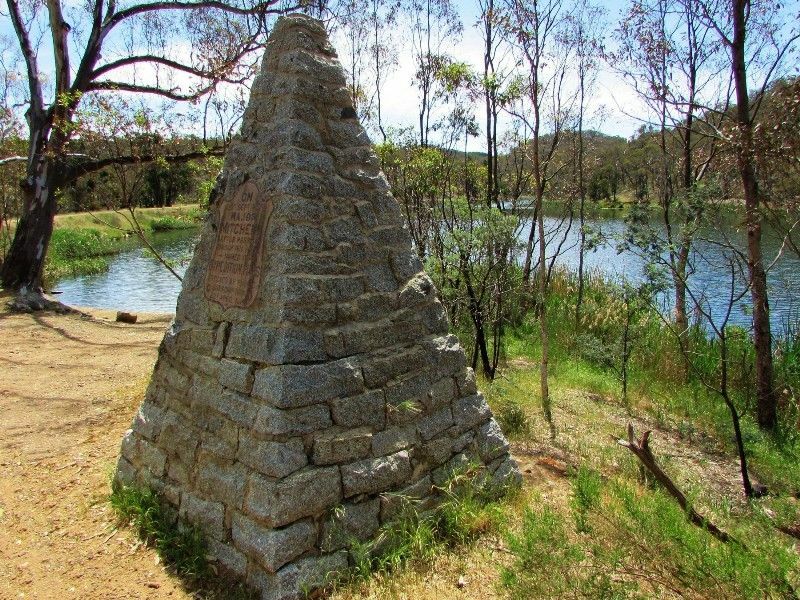 Erected by public subscription, 22nd April, 1914," and has been erected on the side of the road at what is called the first turn of the reservoir, a very suitable and conspicuous place. It is fenced off from the reservoir, but open to the road. Kyneton Guardian (Vic), 28 April 1914.